JOHN LEWIS CALLED ON NEP CONNECT’S (FORMERLY KNOWN AS SIS LIVE) EVENT STREAMING EXPERTISE TO HELP UNITE ITS 40,000 STAFF ACROSS THE COUNTRY FOR A NATIONWIDE PARTY TO CELEBRATE ITS 150TH BIRTHDAY. The department store has come a long way since John Lewis opened a drapery shop on Oxford Street in London in 1864. It now has 40 stores, from Aberdeen to Exeter, and the group wanted staff at all of them to share the birthday celebrations. Store bosses insisted the John Lewis partnership ethos which gives all permanent staff a stake in the company, was reflected by including all of them in the 150th birthday party. Shipping 40,000 people to one venue was impractical and would lose a sense of intimacy, so SIS was brought in to help give everyone a sense of close involvement in the events. It was decided that colleagues from every store including John Lewis headquarters would be represented at three venues across the country for the celebration, which included performances from Paloma Faith, Gaz Coombes and Fyfe Dangerfield, and contributions from many of the a staff who have helped make the store successful. Those who couldn’t attend the main venues would watch events streamed live by NEP Connect onto screens erected in each of the 40 staff canteens, or at home via a secure link to a NEP Connect hosted website. NEP Connect worked with event managers, the mcm creative group, to ensure the main party at Birmingham’s LG Arena, which had live injects from the Edinburgh International Conference Centre and Wembley Stadium, was linked to those venues and to the John Lewis department stores by secure live communications. John Lewis and mcm brought in NEP Connect because of its experience and skill in live event streaming, webcasts and corporate communications, delivered over secure online links. SIS’ solution was to host and stream live coverage of the birthday celebrations into stores and mobile devices. Martin Evans, NEP Connect IP Sales Manager, said: “We realised the best way to ensure all the staff watching remotely had a secure, reliable and good quality connection was to build and host a secure website ourselves, and manage who had access to it. 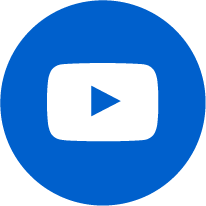 “We achieved this using our own streaming and encoding farm, developed in-house, which can allow people all over the world to watch live streaming events as they happen. 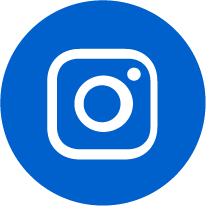 But unlike other platforms, we have complete control over who can see the content." Several weeks’ planning was followed by continuous testing to every John Lewis branch, carried out in conjunction with the store’s IT manager, and with individual website and mobile device users. Staff who intended watching via their PCs, laptops and other mobile devices were given details of how to access the restricted website, named and registered for the one-off event, and delivered with John Lewis branding. John Lewis pulled out all the stops to ensure the party, held in September 2014, was an evening to remember. TV presenter Davina McCall anchored the celebrations in Birmingham, fellow TV presenter Carol Smillie hosted the party in Edinburgh and actor Christopher Biggins took charge at Wembley. Staff members from branches across the country and the John Lewis HQ represented every part of the business in the party’s opening parade at Birmingham’s LG Arena (part of the National Exhibition Centre since renamed the Genting Arena) in front of 7,000 staff in the audience. Colleagues watching from Edinburgh, Wembley, and stores and homes all over the country cheered as, encouraged by McCall, staff members reminisced, and dedicated service and charity fundraising efforts were recognised. 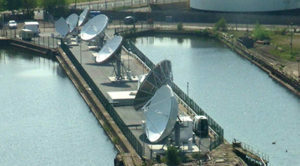 Contributions came thick and fast from colleagues gathered at Edinburgh and Wembley, who were linked live via NEP Connect’s satellite trucks at those venues, and SIS’ dual antennae truck at the LG Arena. 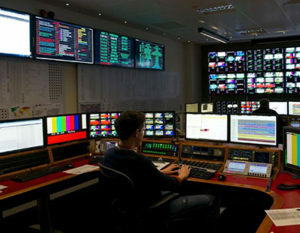 Output from all three venues was uplinked and downlinked at NEP Connect’s Milton Keynes Network Operations Centre, which acted as an operations hub, before being beamed live onto screens at the main venues at each of the 40 John Lewis stores, as well as via the internet into homes. Paloma Faith, Gaz Coombes and Fyfe Dangerfield performed their songs from John Lewis TV ads at the LG Arena, and a musical-style history of John Lewis also formed part of the entertainment. Neil Crispin, CEO of mcm creative said: “It really was a party to remember, with a fantastic atmosphere and a real sense of inclusivity, which is what we set out to achieve. “When a live event is on such an ambitious scale linking numerous venues, it’s vital that the connections are robust – and we were in safe hands with SIS.